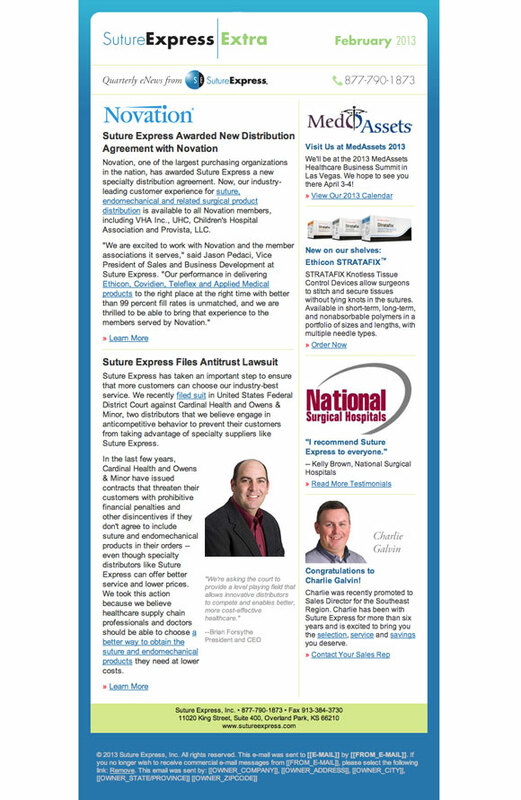 An eNewsletter for Suture Express bulit by my team at Group 3 Solutions. 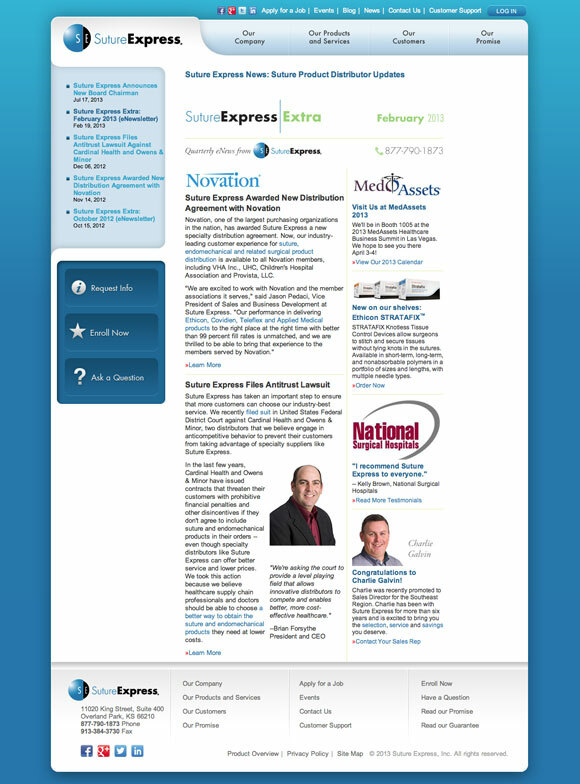 The newsletter was delivered through Sales Genius and then ported to the News section of the Suture Express web site, built in Joomla. We also developed automated workflow-based emails through Sales Genius that leveraged Suture Express's live SaleForce customer and prospect data. Update: This site has since been redesigned.